The hills of Austria might have been alive in The Sound of Music, but on a Friday in February, it was the Singleton Center that filled with the sounds of Richard Rodgers and Oscar Hammerstein II. 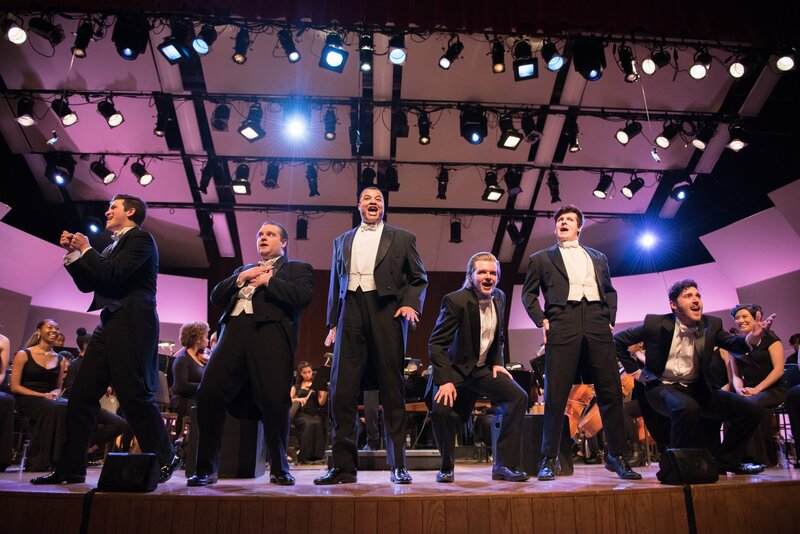 Something Wonderful: A Rodgers and Hammerstein Concert was a first of its kind for VCUarts: a collaborative performance featuring singers from the departments of music and theatre. Backed by 50 instrumentalists from the VCU Symphony, the students performed more than 20 songs by the duo, known for revolutionizing Broadway. The audience enjoyed beloved songs from productions ranging from Oklahoma! and The Sound of Music to The King and I, Carousel and South Pacific. While the night was a celebration the collaborative partnerships of Rodgers and Hammerstein, and between students in two artistic disciplines, it also highlighted another kind of partnership. For the first time, VCU’s lead donor societies came together for a shared event recognizing the value of their longtime support of the university. Check out the slideshow below for a look at the first musical theatre performance at VCUarts.